Summer is well and truly on its way and this floral mug from Marks & Spencer will cheer you up in work as you gaze longingly out of the office window, wishing you could settle down in the park with a good book. 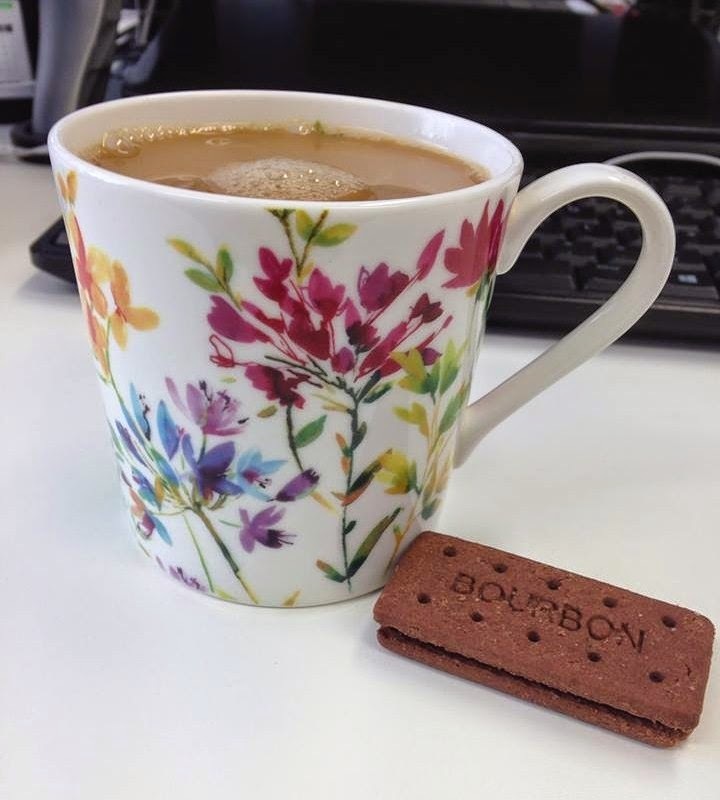 My friend suggested this Spring Meadow mug from M&S (£7.50) should be a contender for May's Mug of the Month, and with those beautiful colours and a tempting bourbon biscuit - I couldn't say no. If you have a favourite mug you would like to share with me, get in touch.